FANBOY PLANET.com . 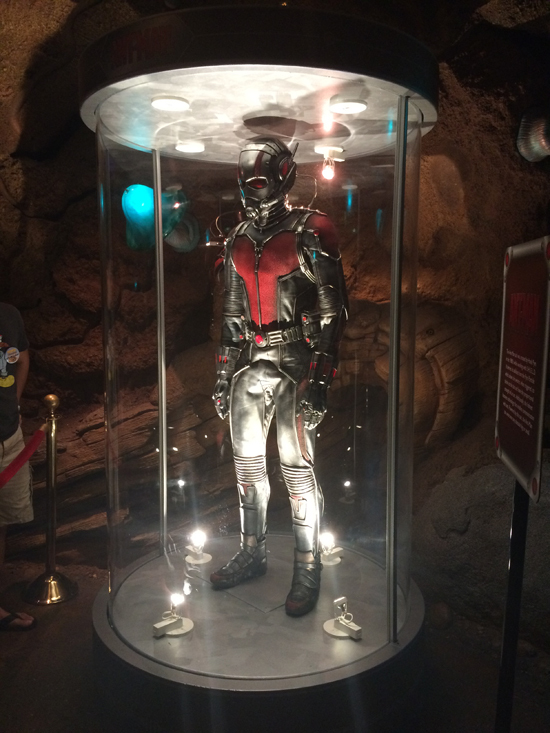 : Its-Tough-To-Be-An-Ant-Man :. When Disney has a tentpole movie coming, the studio has gotten into the habit of creating "preview experiences" in their Anaheim parks. At Disneyland, they have the 3D theater that used to feature Captain EO and Honey, I Shrunk the Audience, and Disney California Adventure has more than one screen set up. Being built for extra "4D" experiences, all of the screens can provide a little something more than even seeing the movie at your local cineplex can provide. But to get a maximum amount of parkgoers through, they can't show the whole movie, just give a little taste. So you get a perfect combination of Guardians of the Galaxy and Big Hero 6 in Tomorrowland, and sometimes just odd combos like Tron Legacy in the Muppets 3D Vision Theater, and Cinderella in the Bug's Land Theater. But at least until the end of July, you really have an installation that should just be made permanent. 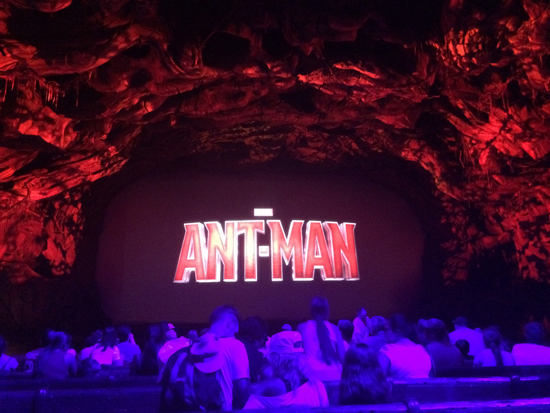 In the Bug's Land Theater, instead of It's Tough To Be a Bug, Disney is showing excerpts from Ant-Man, with Paul Rudd recording an introduction as Scott Lang that keeps it themed from start to finish. 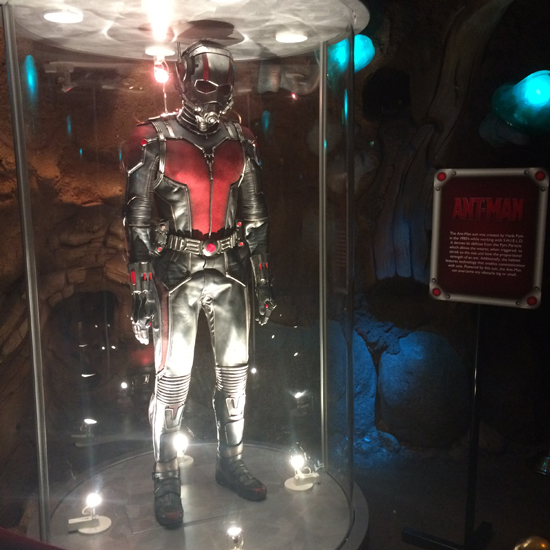 More than any previous installation, Ant-Man uses the effects of the regular attraction. 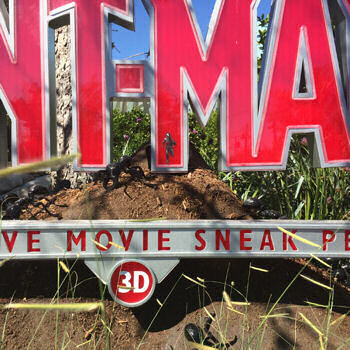 Taking the segment of the film where Scott learns about the suit's abilities in a trial by fire, the audience feels the sensation of bugs under their feet and get stung by a giant record needle. With a little tweaking, this could be a decent attraction while waiting for something more significantly Marvel-themed to be developed on the West Coast. 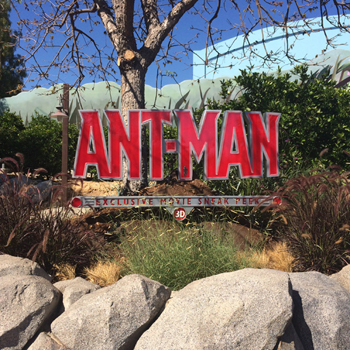 As always, no knowledge here, just spitballing and hoping, because I'm dying for Marvel to have a bigger presence in the Disneyland Resort.